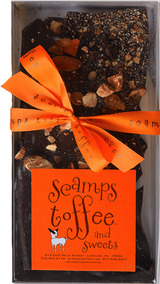 Dark Belgian chocolate, chopped roasted almonds and sun- kissed dried apricots combine for the ultimate in decadence. Add dried cherries with dark Belgian chocolate drizzle and you will be California dreamin' in no time! Gluten and preservative-free.